Countless patients from all over the world suffer from dental phobia, or the fear of dentists (or undergoing dental procedures). In some cases, the fear is so great that the patient will choose not to go through the necessary dental treatments at all – rather than facing the fears that are associated with going to the dentist to have the dental treatment done. 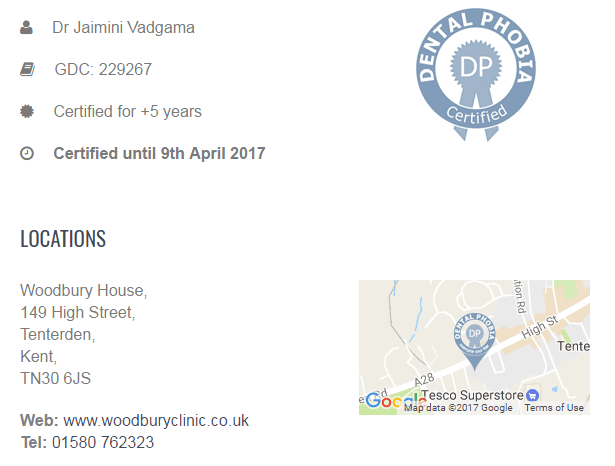 Dental phobia may arise from a number of factors; however, regardless of what the reasons for the phobia are – dentist fear should not be ignored, and the individual suffering from this condition should not be forced to just endure the anxiety that he or she feels while undergoing a dental procedure. This is where conscious sedation, or intravenous sedation, comes to the rescue. What is Conscious Sedation or IV Sedation? Conscious sedation is a procedure that is used to bring a patient to a calm, relaxed state – so that the patient will not have to experience discomfort or fear before, during, and after a dental procedure. Conscious sedation will ensure that the patient will not remember any unpleasant parts of the dental treatment, and will be in a very comfortable, and relaxed, state throughout the procedure. The sedative that will be used in conscious sedation or intravenous sedation will be administered through an injection; the sedative will effectively bring the patient to a state where he or she will feel extremely relaxed, while staying awake and conscious throughout the procedure. The patient will also be able to communicate freely with the dentist at Woodbury Dental and Laser Clinic even while under conscious sedation or IV sedation; he or she can still follow the dentist’s orders or requests, and respond accordingly. Conscious sedation or IV intravenous sedation provides a way for a Kent dentist to give nervous patients the dental treatment and attention that they need, without having to force them to go through a possibly traumatic experience (because of the fear and anxiety). Conscious sedation is done in the presence of a qualified anaesthetist, who will ensure that everything is in place throughout the time that the patient is under the sedative. The patient will not have to go through the fear and anxiety that is associated with dental phobia, throughout the duration of the needed dental procedure; he or she will be in a calm and relaxed state, and will not remember any unpleasant parts of the dental treatment. Conscious sedation by the dentist at Woodbury Dental and Laser Clinic enables a patient to still communicate freely with the dentist while the dental treatment is ongoing. The patient will not fall asleep, but will just be in a completely relaxed state that will not result to a traumatic panic attack during, and even after, the dental treatment. Intravenous sedation is administered with a highly-qualified anaesthetist present, who will monitor the patient throughout the duration of the treatment to ensure that everything is in order, so there should be no unnecessary concerns about the patient’s safety. The gag reflex will be eliminated (or at the very least, greatly diminished) under conscious sedation. This allows the dentist at Woodbury Dental and Laser Clinic to perform the necessary steps in the dental treatment, without any difficulties that may arise from the patient’s gag reflex. The patient will also be spared from forcing him or herself to control the gag reflex during the entire dental procedure – which can be an uncomfortable experience. It is best to inform your dentist of any health conditions, allergies, or medications taken, before the conscious sedation procedure can take place. Any information regarding previous adverse or significant reactions to anaesthesia should also be given to the Kent dentist, so the details may be noted accordingly. If possible, arrange for someone to pick you up, or accompany you from the dentist’s clinic, after the scheduled dental treatment. This is important, as you may still feel the effects of the sedative used in conscious sedation after the dental treatment is finished – so it may not be safe to drive yourself home, or to go home without someone to look after you. Avoid drinking alcoholic beverages the night before you are scheduled to have conscious sedation or intravenous sedation for the dental treatment. You may be asked to refrain from drinking or eating anything a few hours before the dental treatment, and before conscious sedation can be administered. Follow the instructions of the Kent dentist, and the anaesthetist, immediately before the IV sedation is administered. Have someone drive or bring you to your home, so you do not have to drive or travel alone. You may still feel the effects of the sedative even after the dental treatment has been finished. Eat a nutritious meal to restore your energy after the dental treatment. Avoid driving, drinking alcoholic beverages, or operating heavy machinery 24 hours after the conscious or IV sedation. Follow further instructions given to you by your dentist.